At the law offices of Pappajohn, Shriver, Eide & Nielsen P.C. we have been serving clients from our office in Mason City, Iowa for over four decades. Our attorneys have a wide range of experience with state and federal courts and agencies throughout Iowa which can help you resolve your case. 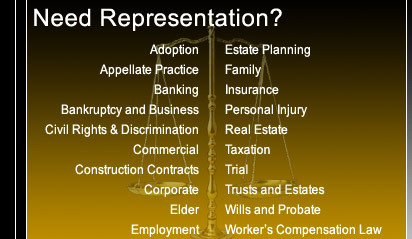 Our attorneys are ready and able to assist you in various types of law including, but not limited to: adoption law, appellate practice, banking, bankruptcy, business law, civil rights and discrimination law, commercial law, construction contracts, corporate law, elder law, employment law, estate planning, family law, insurance law, personal injury, real estate, taxation, trial law, trusts and estates, wills and probate, and worker’s compensation law. We pride ourselves on our reputation for prompt, clear and confidential communication with our clients. We are committed to keeping you informed, and we will make sure that you understand the legal process every step of the way. Our attorneys consistently demonstrate strict personal and professional ethical standards. The law office of Pappajohn, Shriver, Eide & Nielsen P.C. represents clients and businesses in communities throughout Iowa, including cities such as Mason City, Charles City, Hampton, Forest City, Garner, Northwood and Osage. ©2015 Pappajohn, Shriver, Eide & Nielsen P.C. Use of the Pappajohn, Shriver, Eide & Nielsen P.C. web site or e-mail does not create an attorney-client relationship between you and Pappajohn, Shriver, Eide & Nielsen P.C. If you send us an e-mail and we do not already represent you, your e-mail will not create an attorney-client relationship and will not necessarily be treated as privileged or confidential. Prior to sending us any confidential or sensitive information via e-mail, you should contact a Pappajohn, Shriver, Eide & Nielsen P.C. 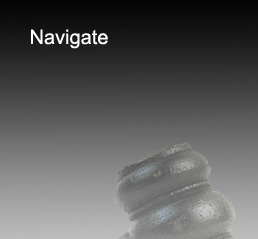 attorney by telephone to ensure that we would not have a conflict of interest if we were to represent you. E-mail via the internet is not necessarily a secure form of communication, and the contents of your e-mail to us may be intercepted and read by third parties. Thus, you should not send us sensitive or confidential information via an e-mail message. For more information, please read our DISCLAIMER.